During a summer experiential learning trip to Yunnan Province, China, Hun School student Reed Doerler ’16 wrote in his journal, “Tomorrow we will meet with a Daoist nun to learn about her life and begin our path to inner peace.” That path’s journey began at Weibao Shan, a sacred mountain dotted with twenty-two ancient temples dating back to the Ming and Qing dynasties. Reed, along with four other Hun School students travelled throughout Yunnan Province during the summer of 2015. Part of a new educational initiative at the School, Global Immersion Trips are designed to develop cultural competency skills, cooperation, an appreciation of our common humanity, and a sense of global responsibility. Halfway to the summit of Weibao Shan, Chong Hui, a Daoist nun welcomed the Hun School group to the courtyard of her monastery’s temple. She spoke to them about her life in the monastery and then taught them the meditative movements and spiritual benefits of tai qi, which they practiced together. 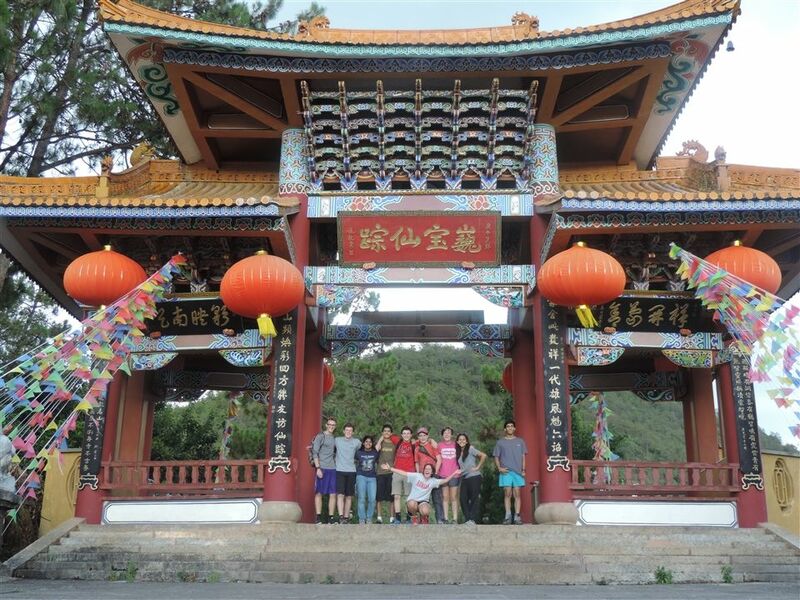 Hun School students shared enriching experiences like this one on three continents this summer. The faculty-led groups visited China, Ecuador, Blackfeet Nation in Montana, and the Florida Keys. The trips combined lessons of economics, history, politics, resource management, religion, and language. The immersion trips were punctuated by inspiring experiences in oftentimes remote and remarkable locations that added to students’ understanding of the people, traditions, customs, and places they were visiting. Hun School China Immersion Trip, June 2015.